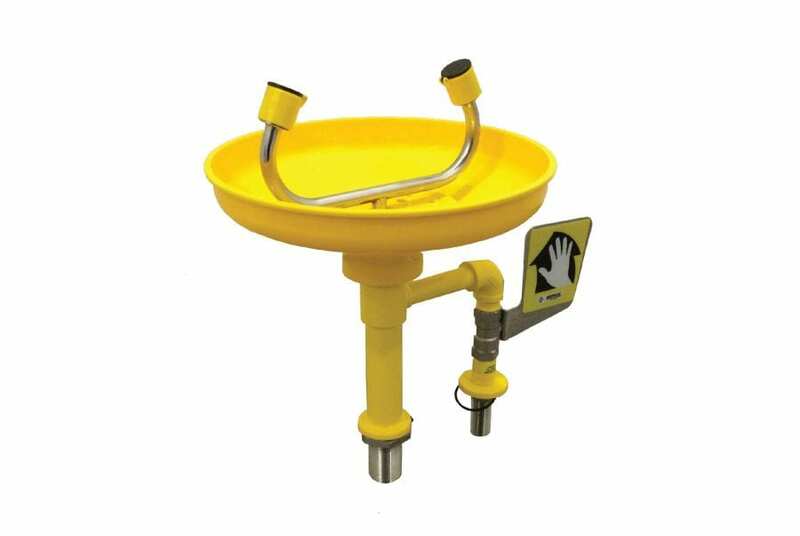 This bench-mount eyewash with ABS plastic bowl can fit easily to any workplace and laboratory. Eyewash works quickly with a simple push of its highly visible handle. Our eyewash sprayheads use the soft-flow aerators and automatic pressure compensating valve inbuilt in the sprayhead assembly.